“I am what God says I am. 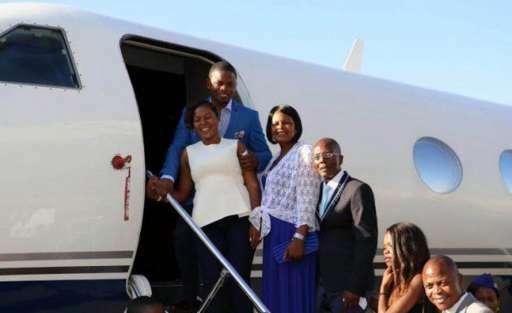 I was born a winner," is how a Malawian pastor, known as Prophet Shepherd Bushiri, has described himself after the acquisition of his third private jet, reports Malawi's Nyasa Times newspaper. Mr Bushiri is thought to be the richest man in Malawi and has recently revealed that he plans to open a bank and mobile company in South Africa, the paper adds. He posted pictures of the new jet on his Facebook page. The latest jet is reportedly a Gulf Stream III jet, which costs $37m (£25m). More than half of Malawi's population of 16 million live under the poverty line.